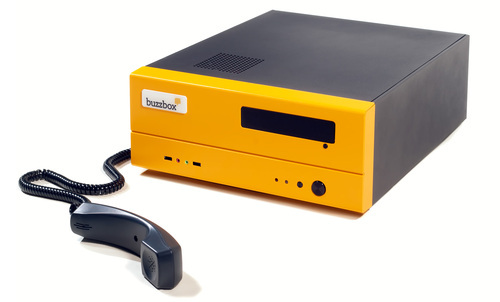 The company buzzbox has introduced a new office telephone system that allows employers to extend their telephone switchboard worldwide so that employees are connected to their desk phone even when they’re out of the office. By allowing staff to carry the office land-line with them on their Android or iPhone, they can be permanently connected to head office with completely free phone calls. “The land-line has been stuck in the dark ages for years”, says buzzbox founder Stuart Spice. “By marrying the internet with your desk phone, you’re opening up a world of possibilities that drags Alexander Bell’s invention well into the 21st century”. Buzzbox is a feature packed phone system for your office that uses the internet to make pristine quality calls for only pennies per minute with no line rental. Simply plug in and start making calls from your PC, handset or mobile with unlimited phone extensions for £29 per month.